This intensive 12 week, 36 hour program combines expert instruction with the SHRM Learning System® for SHRM-CP/SHRM-SCP, so you will learn faster, retain more knowledge and stay on track for success on the exam. 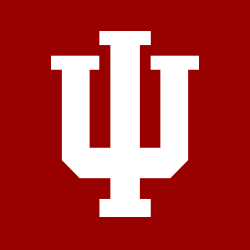 Why Enroll in This Course? 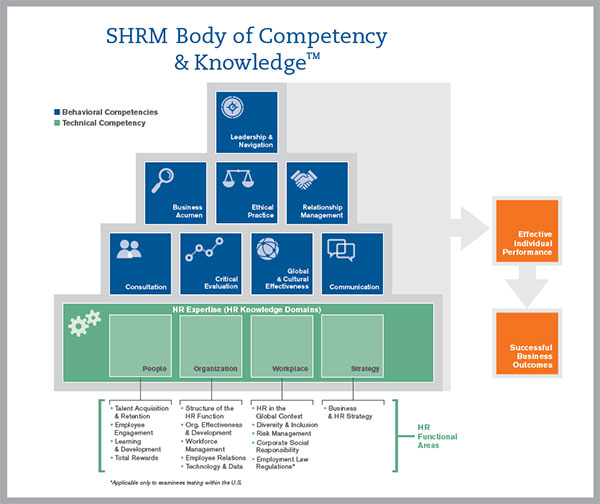 Offered in partnership with the Society for Human Resource Management (SHRM), the curriculum is designed by global subject matter experts and covers the entire SHRM Body of Competency and Knowledge™ (SHRM BoCK™) which encourages HR professionals to acquire the Competencies and Knowledge they'll need to effectively perform their jobs and achieve career success. Our course is designed to help you learn and retain the material effectively and efficiently by combining the best exam preparation system with expert instruction and peer discussion. 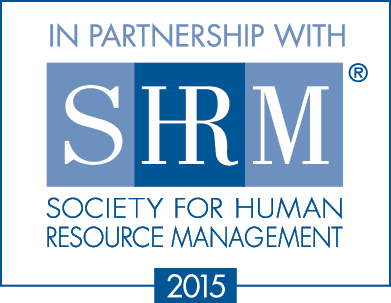 As part of your course, you will receive the NEW 2015 SHRM Learning System for SHRM-CP/SHRM-SCP. Comprised of comprehensive learning modules in print and e-reader formats, and advanced online resources, these study materials streamline study time, accelerate learning and build confidence for passing the SHRM-CP/SHRM-SCP exam. SHRM's new certification path is simple and clear. As a result of your proven knowledge and skills, you are already eligible to earn the SHRM-CP or SHRM-SCP. Document that your current certification is in good standing. Sign the Code of Ethics. Complete a brief online tutorial on HR competencies. Once you complete this process, you will earn the new SHRM credential and begin a three-year recertification cycle**. *PHR, SPHR, GPHR, HRBP, HRMP are registered trademarks of the HR Certification Institute and are not SHRM certifications. ** You will not lose or have to give up any of your current credentials in order to obtain the new SHRM certification. The SHRM Learning System for SHRM-CP/SHRM-SCP includes five modules covering the comprehensive SHRM BoCK so you’ll learn everything you need for the SHRM-CP or SHRM-SCP exam.